Amidst the international fallout from the News of the World scandal, and as the Australian media braces for the release of new proposals for regulation, I thought I would showcase a newsroom ethical decision making tool I developed some years ago which seems to have even more relevance today. True self-regulation must happen at the moment a journalist, editor, news director or producer is confronted with an ethical dilemma. Whether to intrude into the privacy of an individual, perhaps at a moment of extreme vulnerability, is a decision journalists should make on an informed basis, having weighed legitimate public interest concerns against the potential harm they might cause the person involved. While the courts have been active in considering privacy actions against the media in recent years, many more privacy cases have been dealt with by self-regulatory bodies, particularly the Australian Press Council. As well as the Press Council, a further five Australian media bodies feature privacy guidelines as part of their ethical codes. Whether or not a court or a self-regulatory body ultimately reviews a journalist’s decisions in privacy matters, reporters and news directors are frequently called to account for such decisions by other media or by their own audiences. Journalists would be better equipped to engage in such debate, answer such challenges and defend their decisions if they had more effective and transparent processes in place when handling an ethical decision in the newsroom. There is no doubt the daily editorial conferences in major news organizations sometimes feature ethical discussion over whether a particular photograph should be used and whether certain facts about a person should be revealed. A full anthropological study of such meetings might give an insight into the processes and language used when discussing such decisions. This author’s experience of such meetings is that they would benefit from some basic tools to help guide discussion and ensure all bases are covered when reaching a privacy-related news decision. The different legal approaches to privacy throughout the world reflect different cultural approaches to the notion of personal privacy and the different weightings accorded to free expression as a competing value. The topic is a complex one, as evidenced by the closeness of decisions of the highest courts and regulatory bodies of Europe, the UK, Australia and New Zealand when trying to adjudicate cases where the media have infringed upon individuals’ privacy. 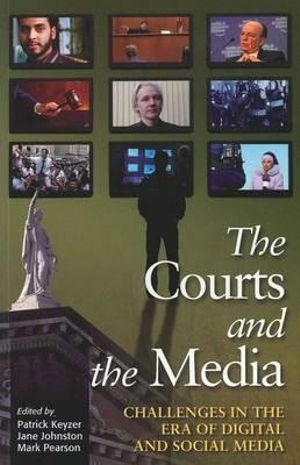 Those very courts have looked to the internal mechanisms of news organizations and the codes of their self-regulatory bodies in trying to determine whether credible and professional decision-making processes have been followed in deciding whether to publish ethically dubious material. In fact, in the UK the courts are required to look to “any relevant privacy code” for guidance in balancing public interest vs. privacy disputes in their determinations under s.12 of the Human Rights Act 1998. It is difficult in the cut and thrust of pressing deadlines for editors and journalist to adopt comprehensive and detailed checking processes. Sometimes there are just minutes available for key ethical decisions about whether to use a photograph, to crop it in a certain way, or to include a particular paragraph in a story. That said, there are codes of practice we can look to for general guidance in such matters. In Australia they include the MEAA (AJA) Code of Ethics, the Australian Press Council’s Statement of Principles and its accompanying Privacy Standards, the codes of the various broadcasting co-regulatory bodies, and various in-house codes adopted by major news organizations. While all these are useful documents, they are either sparse in their directions or are not worded in a form which would be readily accessible for working journalists and therefore unlikely to be a reference point for editorial conferences or regulatory hearings where such matters are under debate. Further, many media organizations work under several sets of guidelines simultaneously. All operate with reference to their journalists’ ethical code and at least their own industry’s code of practice. I have taken several self-regulatory codes and developed from them a more useful schema of situations, actions, and individuals which might in turn lead into a workable device for journalists (reporters, editors, news directors, and photographers) and regulatory bodies and perhaps even courts seeking to weigh up the competing privacy-public interest elements of a story. It aims to help journalists cover the main avenues of consideration when reaching their own decisions and, in turn, offer them a tool for explaining their decisions logically and systematically. I have called it the “Privacy Mandala”. The ethical and industry codes typically flag potential danger zones for privacy material, including journalistic use of rumour, confidential information, offensive material particularly photographs and file footage. The codes also identify several methods of privacy intrusion. They deal with individuals’ status as public figures or, alternatively, with their naivety of media practice in dealing with whether intrusion of their privacy might be more or less justifiable. These also deal with the kinds of individuals involved, with special concern over the intrusion into the lives of children. Some suggest public figures should be prepared to sacrifice their right to privacy “where public scrutiny is in the public interest”, while others say intrusion may be justified when it relates to a person’s “public duties”. Some warn journalists not to exploit those who may be “vulnerable or unaware of media practice”. Some counsel journalists against intruding into the lives of innocent third parties. Some make special mention of the vulnerability of children and recommend protocols for getting consent. All this concern over the category of individual whose privacy might be intruded upon links with Chadwick’s (Chadwick 2004) notion of a “taxonomy of fame”. Former Victorian Privacy Commissioner (now ABC Director of Editorial Policies) Paul Chadwick devised a useful starting point for weighing up whether someone is deserving of a certain level of privacy. He called it the ‘five categories of fame’, each justifying different levels of protection. He argued that public figures who had courted fame or sought a public position deserved less privacy than those who found themselves in the public spotlight by the hand of fate or because they have been born into a famous family. His five distinct categories include: fame by election or appointment, fame by achievement, fame by chance, fame by association and royal fame. He suggested the tension over media exposure of private details of an individual can be “eased” by the use of such categories. Nevertheless, even the codes seem to go further than Chadwick’s list which does not account for the special circumstances of children in the news. Clearly the potential damage to an individual resulting from a privacy invasion is an important consideration, however it gains scant attention in the codes themselves. This may be because much of the damage of a gross invasion of privacy might be incalculable, such as emotional scarring and other traumas. The “public interest” exception to many of these requirements almost always features in media codes, with varying degrees of explanation. Public interest is the trump card in many of our decisions, but we need to explain why a photo of Nicole Kidman collecting her children from school is of such social importance if we are to justify our intrusion into her privacy. Perhaps it is of social importance because she has publicly criticized formal schooling, or perhaps because she has publicly claimed to be home-schooling them, or perhaps it is not of social importance but just mere curiosity and we have no right publishing this photo at all. The Australian Press Council suggests an important further step publications should take when relying on public interest exemption: they should explain the basis of that decision to their readers. How do we combine these multifarious considerations into a useful device for journalists and editors to use in a newsroom when confronted with a privacy dilemma? We can start by identifying the main spheres of concern with privacy issues, including a version of Chadwick’s categories of fame. As a final consideration we feed in the public interest / social importance of the material. The nature of private material. The fame of individual (adaptation of Chadwick’s categories of fame): Red flag items here include children and the “media vulnerable”. The damage caused. That is, the level of directly predictable monetary loss, shock or embarrassment (variable according to individual’s circumstances and cultural factors) and potential for future loss or harm. We then need to factor into the consideration the crucial “public interest” value, presented as a counterpoint to the above. This would operate on a scale from the prevention of death or injury and exposure of crime or corruption through the exposure of hypocrisy, setting the record straight, exposure of waste or inefficiency, preventing death or injury, or something merely of curiosity or gossip value. Part of the social importance decision-making process requires a decision on the level of centrality of the private material to the story. The web of relationships and considerations is illustrated here as the Privacy Mandala. 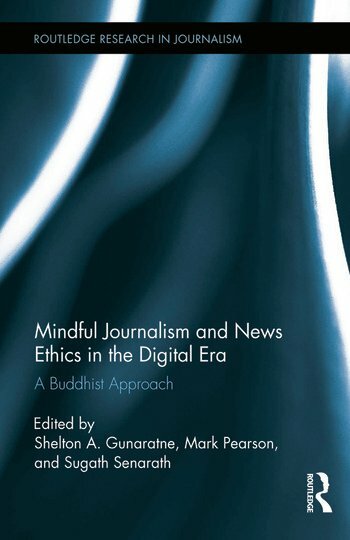 A “mandala” metaphor has been borrowed from Buddhist terminology to aid with the analysis of the media-privacy issue here, but also ultimately with analysis of a matter in the newsroom. It would have been simpler, perhaps, to choose a more straightforward metaphor like a compass. However, there are aspects of the mandala which add value to our discussion. Like the Western concepts of privacy and reputation, it relates to an individual’s value of the self, often a deeply spiritual phenomenon. Mandala, which can take a range of forms, are also meant to be vehicles for meditation, and here ours provides a mechanism to do just that as we meditate in the professional workplace upon the values of privacy and press freedom. The intercultural nature of the metaphor is also no accident. In an increasingly globalised and multicultural society, media organizations occasionally need reminders that there are numerous interpretations of “privacy” among their audiences and news sources which might require special respect or consideration. Further, mandala are inherently complex. The Tibetan mandala are laden with meaning at a multitude of levels. So too is the privacy debate, with each of the four axes listed here representing a series of subsidiary factors needing to be considered in any decision to intrude. While there may be occasional clear-cut cases where privacy or the public interest are overwhelming “winners”, the majority of news situations fall into a negotiable zone where the most we can ask of a media organization is that it has considered the relative values carefully before deciding to, first intrude on a citizen’s privacy, and, secondly, publish the result of such an intrusion. The mandala can be used effectively to help with decision-making at both of those key moments in the news process. When presented in this graphical form, some of the first four realms of privacy could further be displayed in shades of pink, with some listed as “code red” items. From the above discussion, it is clear that it would take a matter of overwhelming public interest to successfully counter a “code red” matter like the invasion of privacy of a child or a grieving relative of someone killed in tragic circumstances. These would need to have their social importance factors clearly articulated by an editor choosing to go ahead and publish the item. 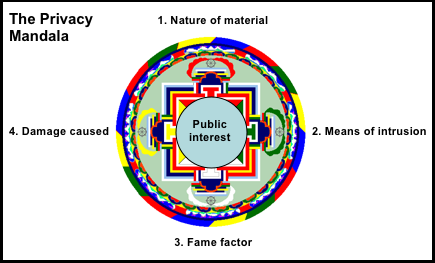 Quite separate from the mandala graphic is an independent area of consideration which is rarely mentioned in the ethics textbooks: the commercial impact of a story. It is rarely addressed because theorists seem to work on the assumption that media organizations should be motivated primarily by a public or social good which is forever being compromised by a commercial imperative. However, the reality is that editors and news directors are motivated at least as much by circulation, ratings and page views as by a public duty to deliver the news. Their own tenure depends on their success in this regard, and it has been demonstrated that celebrity news and gossip sells newspapers and magazines and that hidden cameras and consumer advocacy doorstops boost current affairs television ratings. That said, the commercial impact of privacy decisions might be positive, negative or neutral, as illustrated by the following graphic. The table takes account of the fact that there may be a range of potential profits or costs resulting from a story involving a privacy intrusion, including gained or lost circulation or ratings, advertising, syndication rights, corporate reputations, legal damages, and court or regulator costs. The courts would frown upon news organizations formally weighing up the potential monetary outcomes against the intangible human damage which could be caused by a privacy invasion. That said, there is little doubt journalists go through such a process, either formally or informally, when deciding whether to run with a story which pushes the privacy margins. While there is little doubt many media organizations go through considerable angst in deciding whether or not to run a story which features some level of privacy intrusion, they have been inclined to keep the reasons for those decisions to themselves unless there is an ensuing disciplinary hearing or court case. News organizations should be encouraged to explain their ethical decision-making to their readers, viewers and listeners. It would take only a few paragraphs in a newspaper to accompany an intrusive photograph with an account of why there is an overwhelming public interest in readers seeing the material in question. Similarly, a news or current affairs anchor could devote a couple of sentences to say: “We realize this story involves a compromise of Miss X’s privacy, but we feel there is a greater public interest served by audiences viewing first-hand the emotional impact of a tragic event.” Such transparency would demonstrate to regulators and courts that a decision had been considered carefully and might well minimize the groundswell of protest from readers and audiences which often follows a privacy intrusion. Here we have covered considerable terrain on the topic of privacy and journalism. We have distilled from Australian media regulations the key elements of privacy as they apply to the practice of journalism. We have grouped them into five key categories, covering the nature of the private material, the means of intrusion, the relative fame of those intruded upon, the level of damage caused, and the level of public interest or social importance of the story at hand. We have pointed to the importance of commercial considerations through increased ratings, circulation, or advertising sales as an additional consideration editors and news directors might taken into account before finalizing their privacy decisions. Finally, we have demonstrated that transparency in ethical decisions can provide some benefits to news organizations. It is not claimed that the Privacy Mandala holds all the answers for a journalist faced with a privacy decision. Other factors might deserve inclusion. This research should serve to demonstrate that there are workable models for ethical decision-making in the newsroom which can elevate discussion in editorial conferences above the gut feelings of news executives and force the articulated justification of decisions to intrude. Further, such a model might even help journalists proceed through an ethical minefield like privacy confident they have at least considered carefully the implications of their actions. That, surely, is in the public interest. * Note: An earlier fully referenced version of this blog was presented as a conference paper at the Journalism Education Association conference on the Gold Coast, Australia in 2005. The research was undertaken with funding from the Australian Press Council. For a full-text version of the original article please visit the Proceedings of the 2005 Journalism Education Association Conference, Editors: Associate Professor Stephen Stockwell and Mr Ben Isakhan, ISBN: 1920952551. Last month I blogged about the fact there were several concurrent inquiries into the Australian news media. I am a member of a collaborative research team with colleagues from five other universities and two mental health organisations working on ARC Linkage Grant LP0989758 ‘Vulnerability and the News Media’ Research Project. We have made submissions to three of these inquiries to date. The latest is to the Independent Inquiry into Media and Media Regulation. We sent it yesterday and it should appear shortly on their website at http://www.dbcde.gov.au/digital_economy/independent_media_inquiry/consultation . Please accept this submission to the Independent Media Inquiry on behalf of our collaborative research team undertaking ARC Linkage Project LP0989758 “Vulnerability and the news media: Investigating print media coverage of groups deemed to be vulnerable in Australian society and the media’s understanding of their status”. Our three year investigation ends this year and we plan to publish our findings throughout 2012. Our project explores the interface between journalists and sources at moments of vulnerability. It also studies journalists’ interaction with sources who, by definition, might be classed as ‘vulnerable’ in the situation of a journalistic interview or news event. These may include, for example, people who have been affected by suicide, people who are experiencing symptoms associated with mental illness, indigenous people and children. Professor Kerry Green from the University of South Australia is project leader. Other Chief Investigators on the project include Professor Michael Meadows (Griffith University), Professor Stephen Tanner (University of Wollongong), Dr Angela Romano (Queensland University of Technology) and Professor Mark Pearson (Bond University). Industry Partner Investigators are Ms Jaelea Skehan (Hunter Institute of Mental Health) and Ms Cait McMahon (Dart Centre for Journalism and Trauma- Asia Pacific). Mr Jolyon Sykes is the research assistant for the larger project, while Associate Professor Roger Patching, Annabelle Cottee and Jasmine Griffiths from Bond University have assisted with the preparation of this submission. As well as the HIMH and DART, other industry contributors to the project have been the Australian Press Council (importantly as a disclosure, the subject of your inquiry), the Australian Multicultural Foundation, the Journalism Education Association Australia (JEAA), Special Olympics Australia and the Media Entertainment and Arts Alliance (MEAA). * We have undertaken a small extension study looking at the co-regulatory and self-regulatory decisions involving media interaction with vulnerable sources. * A content analysis of newspaper articles published in selected national, metropolitan, regional and suburban newspapers on a randomly generated publication day during each month of 2009. * A series of focus groups across four states held during 2010 and 2011, made up of social groups documented as being more ‘vulnerable’ during interactions with the news media (for example, people with mental illness, people who have experienced trauma, Indigenous people, people from a CALD/non-English speaking background, people with a disability) as well as mixed focus groups with participants from a range of groups that may be deemed vulnerable. * Analysis of decisions of the Australian Press Council relating to complaints about media interaction with sources during ‘moments of vulnerability’. Please note: Our submission to the Convergence Review filed on Friday, October 28, 2011, contains some of the material presented here, but this document also contains other material directly addressing questions raised in your Issues Paper. Some of the Chief Investigators from the project identified above may also be taking up the opportunity to make individual submissions to your inquiry. This submission is restricted to agreed information and insights from the Vulnerability Project team we believe is relevant to your work. We will still be undertaking our analysis and writing up our findings in the remaining months of our project, so we cannot provide you with conclusive findings at this stage. 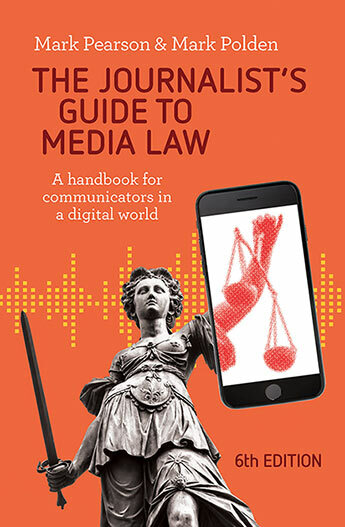 However, we can offer the following insights you might find relevant to your deliberations in your review of the effectiveness of current media codes of practice and the Australian Press Council, from the dynamic of the interaction between vulnerable sources and the news media. To that end, we have structured it to accord with the questions and issues as numbered in your Issues Paper, but have only addressed selected items. 1.2 Does this ‘marketplace of ideas’ theory assume that the market is open and readily accessible? Our research team was not established to consider broader policy and political aspects of its research into the interaction between the news media and vulnerable groups and individual sources. However, we offer the observation that the essence of sources’ vulnerability is often directly related to their relative powerlessness (real or perceived) when compared with the positions of power occupied by traditional media. Their interaction with individual journalists as representatives of these larger corporations is informed to some extent by that power imbalance, combined with other factors such as their ignorance of media practice and complaints procedures that might be open to them. Citizens’ vulnerability to journalism practices is not confined to their portrayal in the media or to their consumption of media products, but can also be impacted by the experiences of their interactions with journalists and researchers during the reporting and interview processes. Media intervention at crucial moments in the midst of a tragedy or even later when calling upon someone to recount a major event in their lives can be traumatic and can have long-term impacts on their emotional well being and mental health. It can also exacerbate existing psychological conditions. 2.1 If a substantial attack is made on the honesty, character, integrity or personal qualities of a person or group, is it appropriate for the person or group to have an opportunity to respond? The research group is of the view that an opportunity to respond to such attacks is only the starting point when considering this issue – and it is the common expectation of most laws related to serious attacks on individuals’ reputations as enshrined in defamation defences. But the technical adherence to such requirements by journalists and news organisations does not necessarily take account of the vulnerability of an individual source. While such citizens might be ‘offered’ a chance to respond they might not be in an appropriate state of mind or emotional position to either comprehend such an offer or to take advantage of it. Further, this relates to fundamental elements of ‘consent’ and to the common situation where such individuals are ignorant of media practice and incapable of understanding the consequences of their interaction with the media or feel powerless or overwhelmed when trying to amend their responses or to seek the complete withdrawal of their participation. In some ways it is not unlike the routine and formulaic ‘Miranda warning’ issued by police officers on the arrest of a suspect – the words might be stated but the implications might not be fully appreciated by the accused. Being able to “reply” or “complain” also implies a level of literacy or capacity on behalf of the person, which may be impaired in some sources who may be vulnerable (such as those from a non-English speaking background, some Indigenous persons and also some with an intellectual disability or mental illness and some highly traumatised persons). Currently, there is no other way to complain or to “reply” without a level of literacy, capacity and understanding of the processes that would make that happen. These considerations present a challenge to any ethical journalist or editor and to the regulators reviewing their behaviour: how can it be determined that the media organisation’s offer of an opportunity to respond was ‘reasonable in the circumstances’? 2.2 What factors should be considered in determining (a) whether there should be an opportunity to respond? (b) how that opportunity should be exercised? Would those factors differ depending on whether the attack is published in the print or the online media? Early in our own research project our group reached the important insight that, while there are certain groups in society whose members appear more likely to be ‘vulnerable’ in their interactions with the media (including the aged, people with a disability, people experiencing symptoms of mental illness, those impacted by the suicide of someone they know, people of non-English speaking background and Indigenous people) – other citizens who are not members of these groups can find themselves in situations of vulnerability through the circumstances of a news event. For example, the parents of an injured child will undoubtedly be traumatised by the event and might not be in a position to properly understand the offer of an opportunity to respond to a media inquiry, or the consequences of their decision to respond or not. This relates to other issues of consent discussed later. The group does not believe there is any difference between print or online media in such situations or in protocols that should be followed. 3. Is it appropriate that media outlets conform to standards of conduct or codes of practice? For example, should standards such as those in the Australian Press Council’s Statements of Principles apply to the proprietors of print and online media? Please see response to Q4 immediately below, which covers both Q3 and Q4. 4. Is it appropriate that journalists conform to standards of conduct or codes of practice? If it is, are the standards in the Media Entertainment and Arts Alliance’s Code of Ethics (1999) an appropriate model? It is important that both individual journalists and their news organisations follow standards of conduct guiding their interaction with vulnerable sources. However, it seems inappropriate to have different sets of standards for the employers and their staff, when the staff are performing their journalistic roles as agents of the employers. Any separate standards for employers should relate only to that overarching administrative function – such as providing adequate resources for journalists to meet the conduct standards or obliging them to provide suitable space for corrections and apologies. As for the individual reporting behaviour, the employer organisation should simply be endorsing the expectations placed upon its journalistic staff by an agreed code of conduct/ethics. o We suggest the term ‘consent’ requires further clarification by means of an explanation that some vulnerable interviewees might appear to be giving consent but in reality might be traumatised or in shock, might simply be responding to the authority of the reporter or might have a mental illness or intellectual disability which is not immediately apparent to the journalist. o Dr Romano points out that additional care must be taken when the media deal with a vulnerable person, to recognise that children, and indeed many other categories of vulnerable people, may not have the confidence or social skills to decline a request by a media person for an interview. Children and other vulnerable people may not necessarily be able to anticipate the types of questions that they may face, thus not fully understand the consequences of consent. Once sensitive questions arise, they may not always feel as if they can control what they disclose and may feel pressured to answer questions that are disturbing to them. o Consent must be considered ‘qualified’ rather than ‘absolute’. Dr Romano suggests the guidelines do not acknowledge the right to withdraw consent. Thus the guidelines may suggest inadvertently that consent is something that is only relevant at the beginning of a person’s interaction with the media. If a person has initially agreed to speak with the media, then it is also reasonable that they should be able to withdraw agreement at any time during an interview or other discussion intended for publication. Similarly, if a person agrees to have her/his personal details revealed, then s/he may rescind that agreement prior to the time that the information is published. This right should be respected unless a higher public interest is served by transmitting the material – such as exposure of a major crime or revelation of other matters of considerable public importance. Given the nature of news selection and production processes, it may not always be possible to withdraw content relating to a given individual if a request is made shortly before a newspaper is about to go to press. However, such requests should be accommodated unless time restrictions make it impossible to do so. o Dr Romano also makes the observation that children and other vulnerable people may be less conscious of their rights to withdraw consent once they find their participation has caused discomfort. Even if children do have a sense of their right to withdraw, they may not have reached a stage in their development where they have sufficient confidence or social skills to express such preferences. As was discussed above, other vulnerable people may face a number of circumstances that similarly leave them less able to articulate a withdrawal of consent. The codes could also recognise the fact that journalists themselves can be affected by trauma and in certain situations might unwittingly reveal private information about themselves or convey private emotions they would not want covered by other media. An example might be a reporter overcome by emotion while covering a tragic event, with other media publishing their very public breakdown, which happened this year in coverage of the Christchurch earthquake. The codes might accommodate guidelines to inform editorial decisions in this kind of scenario. Media use of social media material: The Australian Communications and Media Authority (ACMA) recently published its ‘Review of Privacy Guidelines for Broadcasters’ (http://www.acma.gov.au/webwr/_assets/main/lib410086/ifc28-2011_privacy_guidelines.pdf). While the guidelines are aimed at broadcast media, their views on the use of material obtained from online social media are also relevant to print media. ACMA proposed that the publication of material obtained from online social media sites would not be an invasion of privacy ‘unless access restrictions have been breached’. This might be technically correct, however we suggest that the mainstream media’s use of social media material can deeply affect vulnerable and traumatised individuals and they should exercise caution in any use of such material. 6. To what extent, if any, does the increased use of online platforms affect the applicability or usefulness of existing standards of conduct or codes of practice? The group believes the technology or platform being used is irrelevant to the expected standards of interaction with vulnerable sources. Of course, technology raises new issues such as that immediately above regarding the use of social media material, but fundamental ethical principles of truth, fairness, accuracy, transparency and equity should apply to content across all platforms. The research team particularly notes the challenges associated with allowing the ‘public’ to comment on stories that affect people who may be vulnerable. Editorial processes should be in place so that such comments sections – whether on the news media outlet’s website or social media presence – are moderated and comply with the media codes and other standards applying to situations where vulnerable sources are involved. 7. Can and should the standards of conduct or codes of practice that apply to the traditional print media also apply to the online media? If this question relates to journalists working for news organisations operating in the online media environment, the response to question 6 applies. If, however, you are suggesting all online media content providers should follow journalistic codes of practice, serious issues arise regarding the definition of journalism and whether or not some new media providers identify with, and ascribe to, journalistic ethics and values. Our own study and views are restricted to those ascribing to such values. On the latter point, it could well be that making a complaint to the Press Council requires knowledge that the complaints mechanism exists and a relatively high level of literacy about the steps involved in that process. Vulnerable sources may well have a desire to complain, but not the energy or competence at the time to do it. This relies on third-party support to make the complaint – which is not always available. Dr Romano has noted that in training sessions with multicultural communities in South-East Queensland this year for another project that people often do not have much grasp of the processes, and when they get the documents that tell them how to reply or complain, people often do not have much sense of what to do with them. It is not just a question of literacy in terms of understanding English, but a real inability to grasp the complexity of the documents, the concepts that underlie them, and the resulting processes. As noted in our disclosure of interests above, the Australian Press Council is an industry partner in this ARC Linkage Grant project. We point out that ‘effective self-regulation’ might also include measures to increase the community’s understanding of media practices, including journalists’ interactions with vulnerable sources. This is not the only research the Australian Press Council has sponsored in recent decades. Many of its funded projects have explored issues of media ethics which have added to public and industry knowledge of practices, procedures, and problems. In addition, the APC has been a regular visitor to tertiary journalism programs, with its representatives running case studies in media ethics dilemmas, drawing upon its actual adjudications. As educators, we are confident this has impacted upon the workplace understandings and behaviours of our graduates. This is surely another element of self-regulation – helping train future practitioners in best ethical practice. A further aspect of self-regulation is the Press Council’s ongoing re-evaluation of its own role and guidelines in the form of the many submissions to parliamentary and other inquiries and the ongoing overhaul of its many principles and guidelines. Our point is that effective self-regulation can be defined more broadly than the simple adjudication of breaches. 9.3 Is it necessary to adopt new, and if so what, measures to strengthen the effectiveness of the Australian Press Council, including in the handling of complaints from members of the public (for example, additional resourcing, statutory powers)? Some of our focus group participants expressed the views that they were either ignorant of, unhappy with, or frustrated by the co-regulatory and self-regulatory systems in place when they made complaints or sought information about how they could complain. This indicates the current systems are either not working or that there is a perception within the community that they are not working. This supports an argument for the complaints procedures to be included in the codes of practice documents and advertised more broadly. This in turn relates to resourcing issues, but that is beyond the scope of our study. 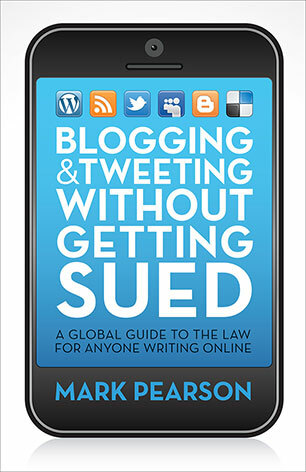 (f) deal with other topics such as those currently covered in the Australian Press Council advisory guidelines? Any new model of regulation or self-regulation would surely need to strike a balance between media freedom/public interest and important rights, interests and vulnerabilities of other citizens. Our project is concerned more with items c and d in your list above. Our project has been informed by an agreed understanding that public interest considerations will sometimes excuse some intrusion into the lives of vulnerable sources, but that these occasions are rare and would need substantial justification. Our brief does not include extending this principle to firm recommendations on whether such models should be regulatory or self-regulatory. We ask only that the interests of the vulnerable be duly considered in the process, taking into account the issues we have raised above. We are happy to provide further insights into our project and are available for further inquiries or assistance. Please feel free to email me at mpearson@bond.edu.au, project leader Professor Green at kerry.green@unisa.edu.au or Dr Romano at a.romano@qut.edu.au and we will refer you to our academic or industry colleagues who might best be able to help.